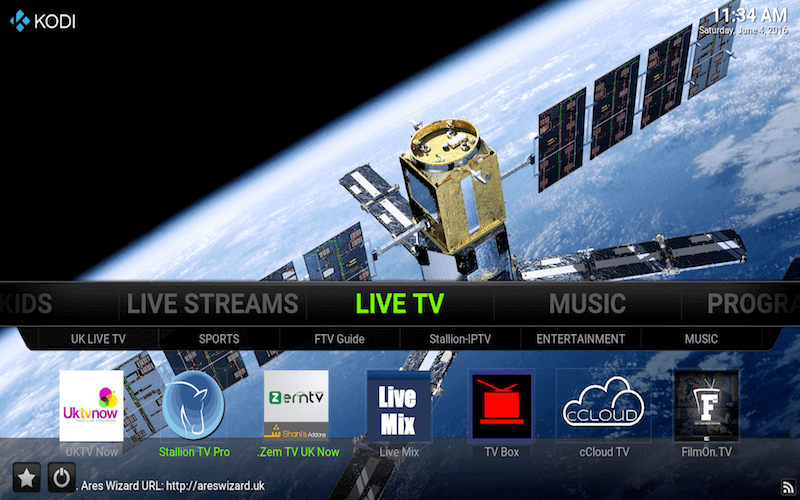 These builds are all optimised to work on any devices including Android devices such as the Amazon Fire TV Stick which means they will not lag or buffer at all. All of the below addons allow you to stream content in 1080p/4k and 3D so you will be able to find any quality content you need. 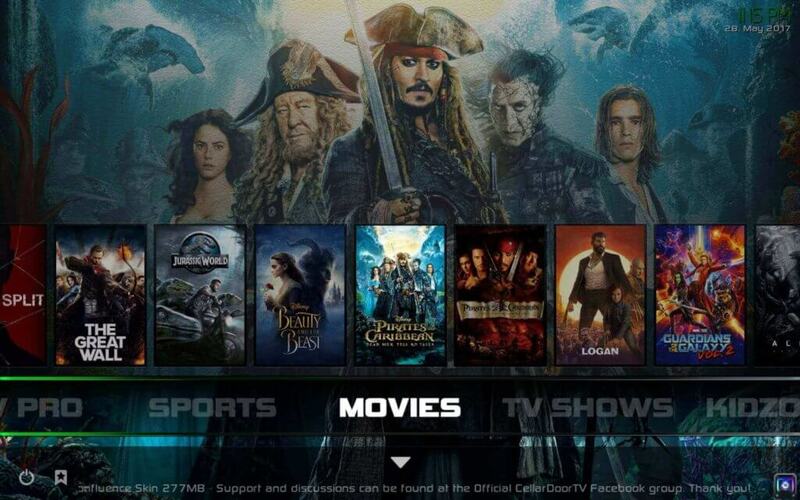 The Kodi No Limits Magic build for Kodi Krypton is, in our opinion, still the best build available right now (April 2019). It is rated the number 1 top build for this month and is rated 5/5 stars. It contains all of the popular and latest addons which are regularly updated with all of the best content. It includes sections such as Live TV, Music, Live Streams, Kids, Movies and TV Shows, these have sub-sections such as HD Movies, 3D movies so you will definitely be able to find the content you require. This build also has a clean and easy to understand interface similar to the old Kodi 16 Jarvis so this will help if you don’t like the Krypton skin. A guide to install this build can be found by clicking here. The CellarDoorTV Infusion build for Kodi Krypton comes second in our list of top builds, making it another one of the best builds available right now. It is rated the second best build build for this month and is rated 5/5 stars. This build contains all of the section you would expect such as; Movies, TV Shows, Kidzone, Sports and much more. The build comes with a very nice and clean skin which has beautiful backgrounds based on the content you are hovering over, it also has nice previews of movie/tv show covers. 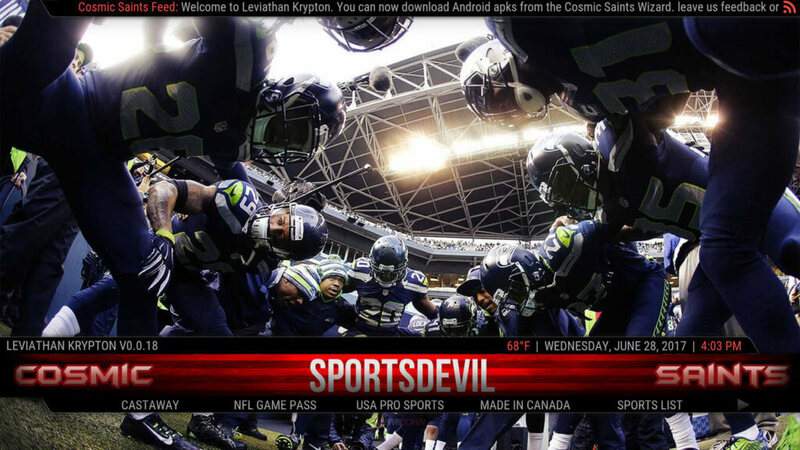 The CosmicSaints Leviathan build for Kodi Krypton comes third in our list of top builds, making it our bronze option but still one of best builds available, if you don’t prefer the first two. It is rated the third best build build for this month and is also rated 5/5 stars due to the excellent features it has. Like the other builds, it contains all of the popular and latest addons which are regularly updated with all of the best content. This build contains all of the content you would expect such as; Movies, TV Shows, Kids, Sports and much more. The build comes with a very nice and clean skin which has a nice red colour scheme to it. The Pulse CCM build for Kodi Krypton is one of the best builds available, it was rated the 4th top build for this month and rated 4/5 stars. It contains many popular plugins which are regularly updated. It includes sections such as Live TV, Music, Live Streams, Kids, Movies and TV Shows. This build also has a clean and easy to understand interface similar to the old Kodi 16 Jarvis. 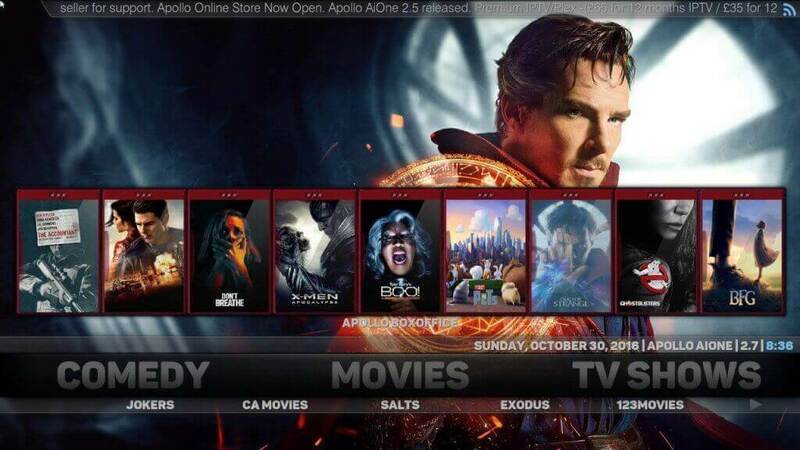 The Apollo AiOne build for Kodi Krypton comes in at number 5 in our list of the best Kodi Krypton builds. It was rated the 5th top build for this month and rated 4/5 stars. This is still one of the best builds available despite being ranked number 5, because there are hundreds of other builds it has beaten! It contains many popular plugins which are regularly updated. It includes sections such as Live TV, Music, Comedy, Kids, Movies and TV Shows. This build also has a clean and easy to understand interface similar to the old Kodi 16 Jarvis for those of you who like the old skin. 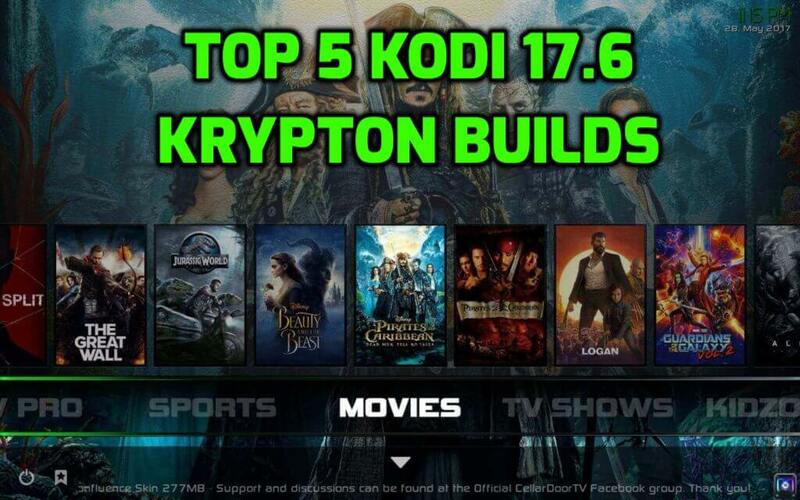 Also, these builds will also work on older versions of Kodi Krypton such as Kodi 17.3 so you can enjoy these even if you are on an older version of Kodi! 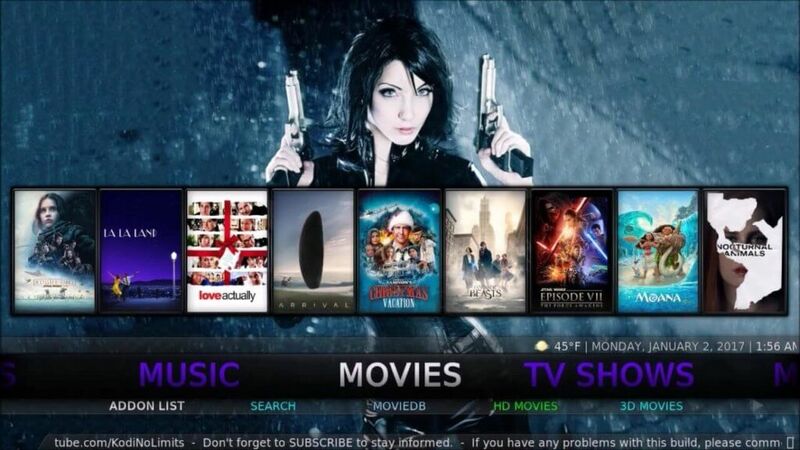 We hope our list of top/best Kodi builds has helped you decide on one to try out! We will be keeping this list updated monthly so stay tuned for our next update. Feel free to let us know your favourite build down in the comments below, we would love to try them out, and they might even be featured as a top build next month!